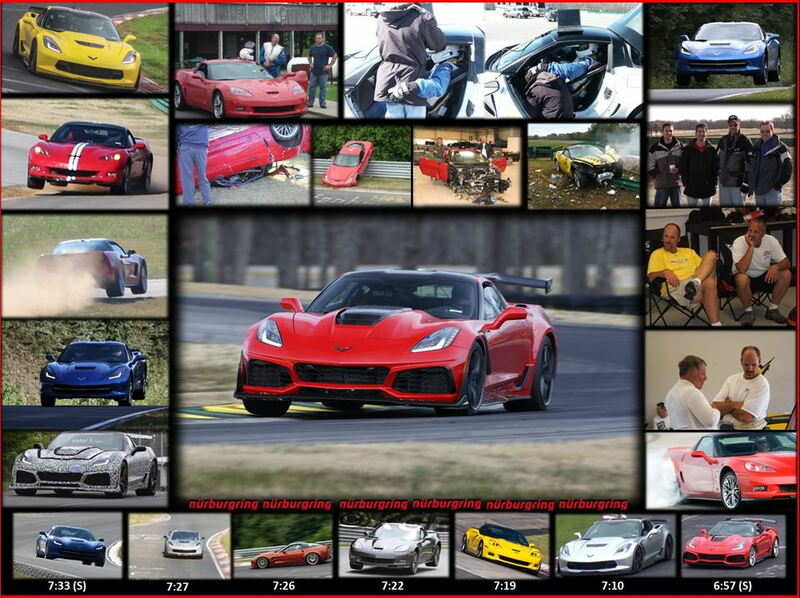 C7 Nurburgring times, they're all here! You do realize that the OP was just naming the cars in the picture as there was no offical statement with this picture that was taken from Jim Mero's wifes FB page? If they track tested the GS at the Ring it would be the Z07 package, no question. Huh. So I went back and did some calculation based on Randy Pobst's Laguna Seca lap times and it appears you're correct. The ~2 second difference between the C7 Grand Sport with Z07 package in which Randy pulled a 1:35.6x @ Laguna vs. the 2012 C6 ZR1 on Cup 1 tires WOULD translate to about a 10 second gap between the two cars on the Nurburgring. So the GS is likely running Z07 with the Cup 2 tires to rip out a similar time to the ZR1 on 2nd gen Pilot Sports. We have NO understanding of track conditions, weather, traffic and so on. Also the “Ring” recently has been reworked making it difficult to compare year to year. And VIR has been reworked a few times for better and worse. The Magazines even admit the difference in track conditions on the same day changing from morning to afternoon and evening. Unless it’s “perfectly” qualified and quantified, times are for fun. Somewhere here on the forum I saw a list of cars, and their lap times (the track I don't recall), all performed by a single driver. Would someone direct me to that list please? My forum search-fu is failing me. VIR is the track to win at and set times at. No need to ship a car overseas, no need to deal with the varying track conditions at the Ring, nor with the crappy weather, nor with the fact no official lap times can be done. The Ring will fade into obscurity with nobody but Porsche caring. hahahaha, yeah, okay, keep telling yourself that.....spoken like someone who's never been to Nurburgring let alone driven on it. Last edited by themonk; 09-07-2018 at 11:39 PM. Ya Think? We all will fade into obscurity but on my way, I plan on doing some cool things including Nurburgring and some other things. Yep, Life causes death and in 100 years no one will care. No one will care about anything we are talking about but we can all care about achieving our own personal goals. Stay tuned for my totally insignificant attempt at Nurburgring that will be recorded with a precise in car camera with the start and finish points set in the camera system display with a GPS for all to see and forget as time passes. Funny how life is like that. Lou - I did some reading and catching up on LG. I think your efforts to tackle the Ring are nothing short of AWESOME! To design/prep/ship/and race from TX to Germany and back. Not cheap and yes, it shows passion and grit. As a fellow Italian/Texan I truly wish you well and no matter the outcome, hopefully the setup you have spurs some interest (probably already done so) among European Z06 customers as well. During your stint at the Nurb I am consulting in Stuttgart. I know you don't need Merc and Porsche parts...LOL ...but if you need a hand...let me know! The C7 times are very impressive, but, for the life of me, I can't understand why they were never made public. Last edited by 911Hunter; 09-08-2018 at 06:40 AM. The Z51 and ZR1 seem to be calculated laps, The time I'm most interested in is the 7:10 Z06 lap because it appears to be a complete lap. I assume this is the lap Tadge originally said they have a time supported by a video followed by crickets. Hi guys you may or may not know that we are heading over to the Nürburgring with our Corvette C7 Z06 with our cooling modifications and a bunch of our other LG Motorsports parts to set a time. So far I have spent five days running on track and logged over 720 miles on the Nürburgring in various BMW cars while our Corvette is being shipped over It is scheduled to arrive around September 10. I have four more days schedule on track During that time we will make some time to run I have to dial the car in for the track will be on Pirelli Trofeo R tires. Bilstein made us Special set of double adjustable shocks with their Nurburgring valving. We have help from Forgline wheels- Stoptech brakes, and our LG motorsports Aero package which we feel exceeds that of the Corvette ZR 1. Our goal is the sub 7 minute time for a full lap- not segment times - and it will be videotaped with the timer on screen. Shipping the car took longer than we anticipated with Customs and special bond to insure that we bring the car back. I will be heading over in the 24th and I will stay there until October 10 looking for dry conditions. My main concern is the weather. Of the five days I spent on track one day was after a rain the night before and there were still parts of the track where the sun can’t reach because of the trees that stay wet. So in order to set a good time we need a full dry track. Stay tuned —- we will keep you posted. Last edited by 911Hunter; 09-08-2018 at 09:50 AM. I think VIR and the annual Lightning Lap held there (now, with a full decade of running results of every major car released) has overtaken any significance the Nurburgring might have had. The fact that there is no such thing as an official Ring time certainly hasn’t helped the Ring’s relevance. Owning records at VIR is great and indeed significant. But internationally, the green hell means a lot more whether we agree or not. If the Corvette is suppose to become a world sportscar, we need to do work there and show it. VIR by Car and Driver is as close to a standardized test as we can get here, glad they’re doing it. Looks like a Euopean magizine runs a similar test at Sachsenring, German track, 2.3 miles long. Over 300 cars times on fastestlaps.com. C7s do very well although I don’t see a ZR1 time on there yet. Location: Road Atlanta You do the MATH! The top 5 cars listed as "ring record holders" put together have annual sales of less than 1000 units "internationally". That is the current run rate volume of the current ZR1 in 6 MONTHS! and without the ring to boot! This tells me the "world sportscar" accolade is rather overblown...? The fact that GM now has a R&D facility and are testing the C8 there, it would appear to me that they do care about what the world thinks. I suggest that within this context they care more about what the world "buys" versus "think". Corvette sales 10% internationally and that is how much they care about it...That "R&D facility" is really been there for quite some time and is really a big garage which GM leverages from time to time to test wares from the OEMs that camp there and to conduct road worthy tests. They come, they open, they test, they close. Since Chevrolet pulled out of Europe it is actually closed for most of the year. Again, I think some of you are erroneously conflating development car testing, with record lap times and the specific location. Tadge has made it clear the Nurb is very useful for track/german road tunings and test electricals from BOSCH (which is there all the time..). Both the peculiar characteristics of the track and surrounding highways make it easier for team corvette to register behaviors on a long/sustained basis for meaningful telematics. The German highway is probably the cheapest longest stretch of road without speed limits..and it's all done away from preying eyes at "home". and quote: no funny business.. Gee!...I wonder what he was referring to...? Last edited by Telepierre; 09-10-2018 at 05:36 PM. 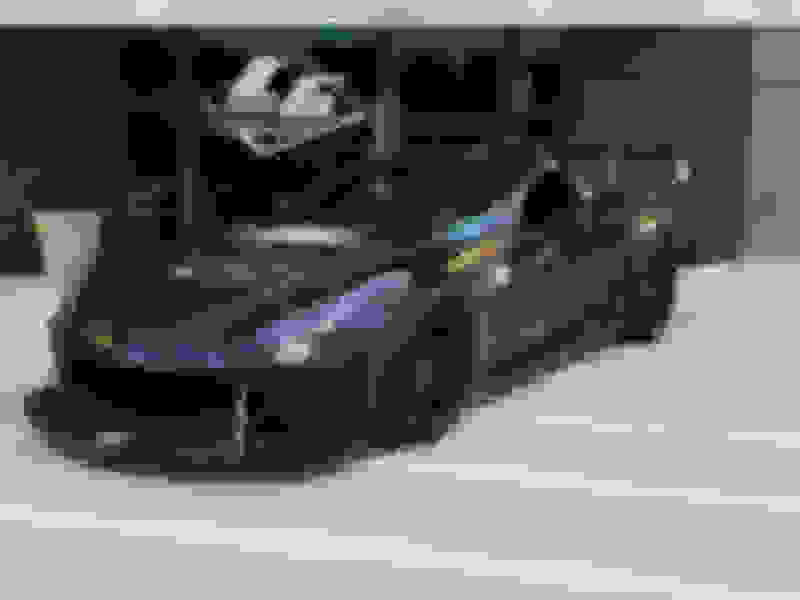 While I agree development testing doesn't necessarily require recording the fastest Nurburgring lap time, improving the image and reputation of the Corvette in other parts of the world does. I think it comes down to does a company like GM want to increase their sales, market share and become a stronger player in countries where the Corvette currently is an afterthought. What they did with the previous generations are irrelevant. Just because they didn't sell very many C7 Corvettes internationally doesn't mean they are satisfied with that. The mid engine platform is a whole new direction and there is tremendous opportunity to grow the brand/model into something much bigger. To me, that's the logical move for business. You can find a "Nurburgring" thread on every performance car forum and in short, it matters to many enthusiasts. Tadge himself in the video acknowledges that Nurburging is known as one of the toughest tracks in the world. That is the very reason why it matters to enthusiasts and GM obviously agrees or else they wouldn't be validating there. Posting fast lap times there (preferably beating some top cars) would help to change a lot of the false images that some still have about American cars. I think beating all those car’s asses at VIR accomplishes the same thing. And in a far more controlled environment, such that the results are less able to be challenged and can easily be repeated. Good arguments and I agree with you Nurburing lap times can (generally speaking) maintain and/or improve image and reputation. I think we are in disagreement on the degree of importance a ring time is to image and reputation. I wager, Image and reputation is not built solely on marketing and for sure not on feeble perceptions. I think the ultimate measuring stick of were a product stands with the market is sales, period. Easy to vote with your mouth...a bit more convincing when you vote with the wallet.. Finally, I can tell you that as an international business developer practitioner, Corvette enjoys a great degree of respect among knowledgeable car enthusiasts. Some can afford to buy the car but most buckle at the outrageous tariffs, ownership tax and costly import obstacles. Look up the price and ownership tax for a new Z06 in let's say Germany or Italy, or UK and you will quickly understand Corvette does not have an image problem. Corvette has a market protectionism problem and they have made it abundantly clear that is not their problem (see Corvette statements on ZR1 exports to EU). It is a licensed street driven Corvette C7 Z06. BUT it performs like so much more than that. Quick Reply: C7 Nurburgring times, they're all here!